Okay sports fans here is the deal. 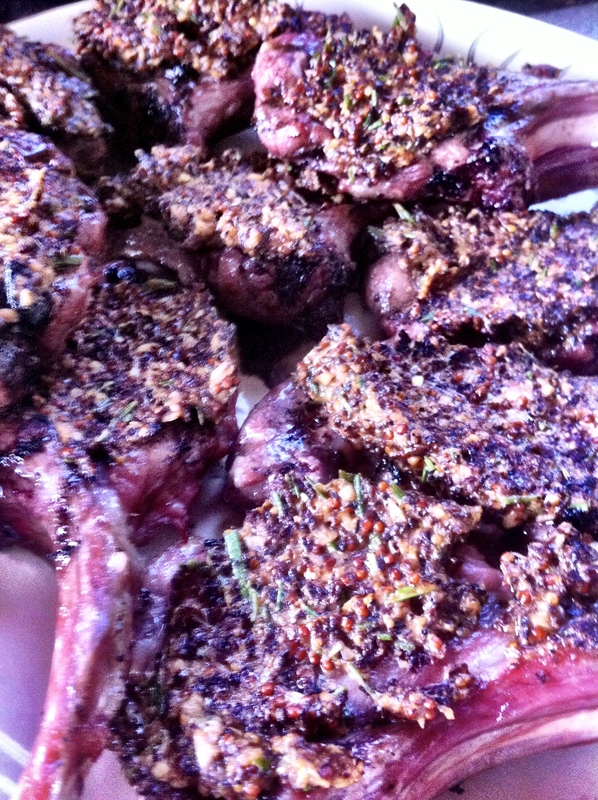 Lamb chops are the bomb.  I have made them for parties, and catered dinners and they are always the big hit of the party. I always serve them first too when everyone is still sober so the remember the one thing that tasted great. 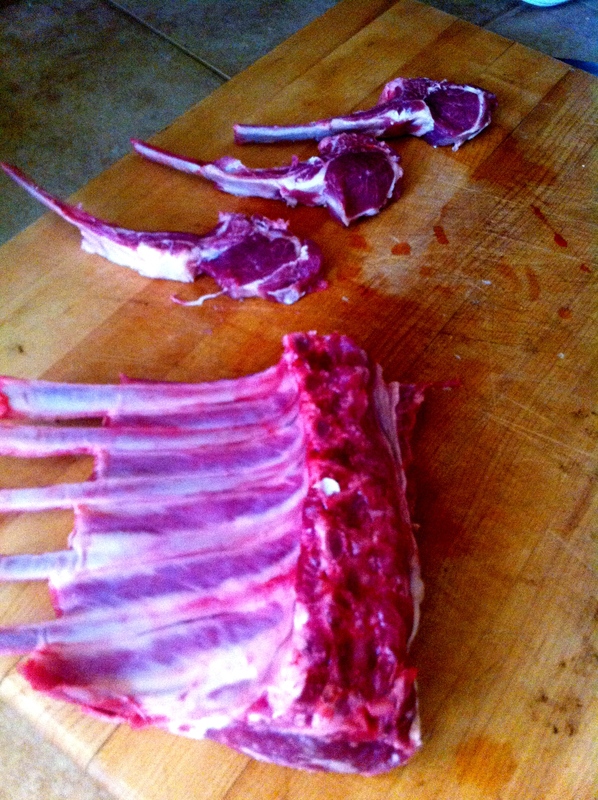 It is relatively easy, all you need is a rack of lamb which you can get at Costco. Just take a sharp knife and start cutting in between the ribs. I like to cut any fat off the chops because lamb fat is nasty, and if you like lamb fat then you are naturally a nasty person. Just saying. Remember the morel’s I picked a few months ago? I am going to hydrate them in warm water, about 2 cups of water. Do not start swinging at these chops like ole John Henry on the rail road tracks. 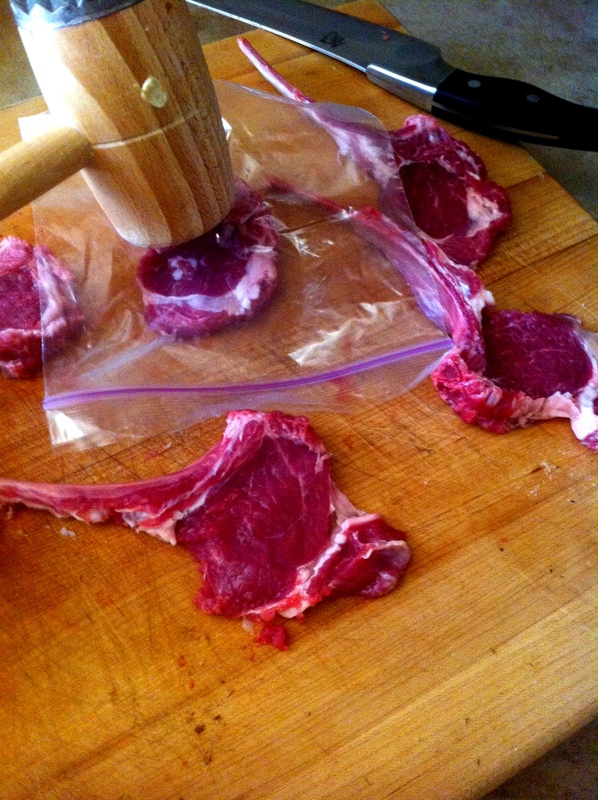 Take a plastic bag and gently pound with a mallet to flatten the meat a little bit….gently. 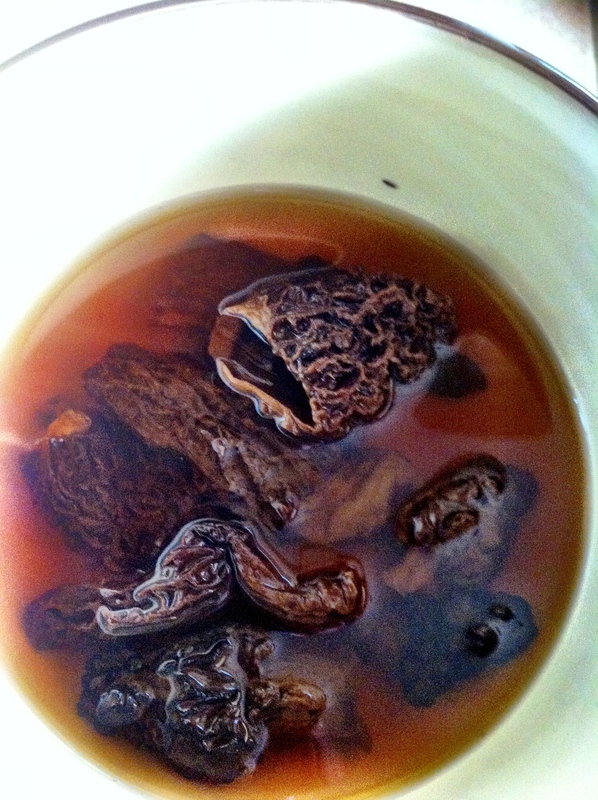 Pour the liquid from the bowl of morel’s you were using to hydrate the mushrooms. 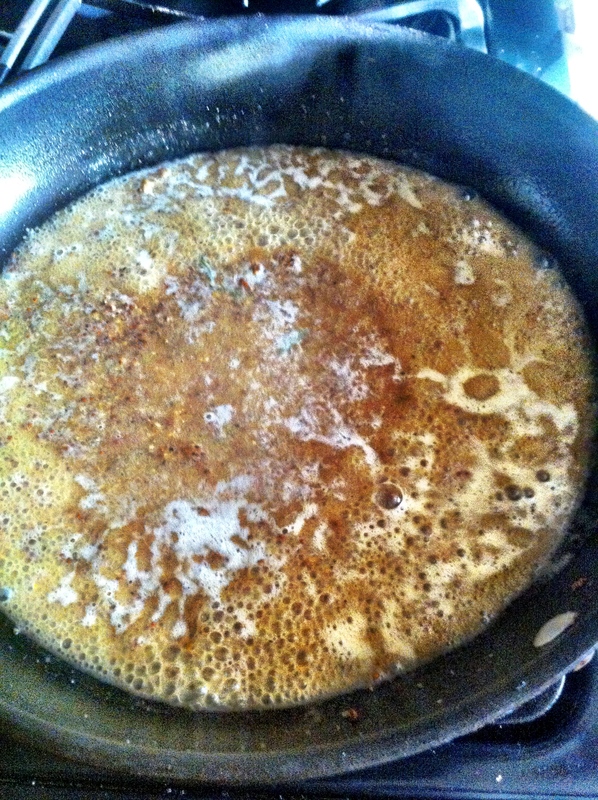 Bring to a boil, add 3 tablespoons of butter, 2 tablespoons of Dijon, a few love dashes of pepper. Boil for about 3-5 minutes until it reduces to a 1/3rd. 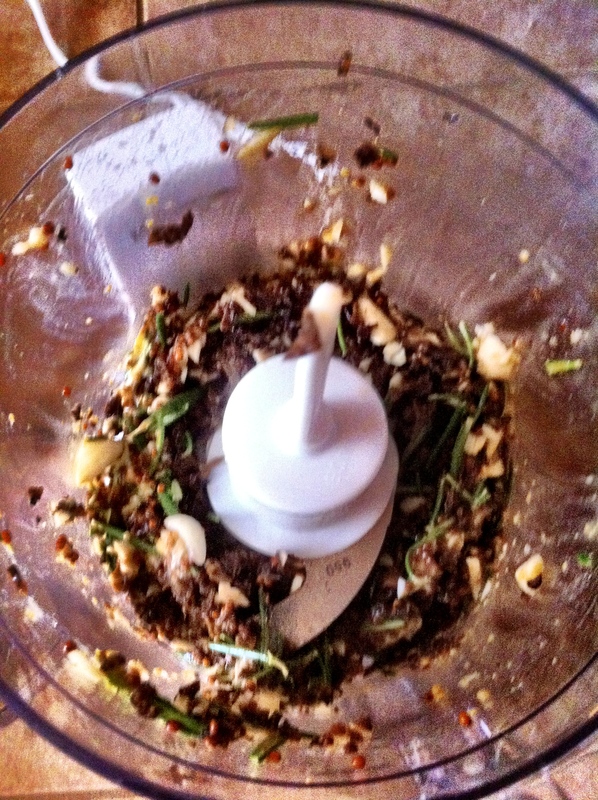 Then take 3 whole clove garlic, 3 sprigs of rosemary, the morels 1/2 cup, salt, 1 tablespoon of olive oil and put in a blender. Put all the above ingredients into your blender, or bullet. Then your going to pour your morel Dijon reduction into the blender and let it rip until its nice and thick and creamy like peanut butter. Get your bbq rolling to around 375-400 degrees, or nice and hot. Olive oil and sea salt the chops. 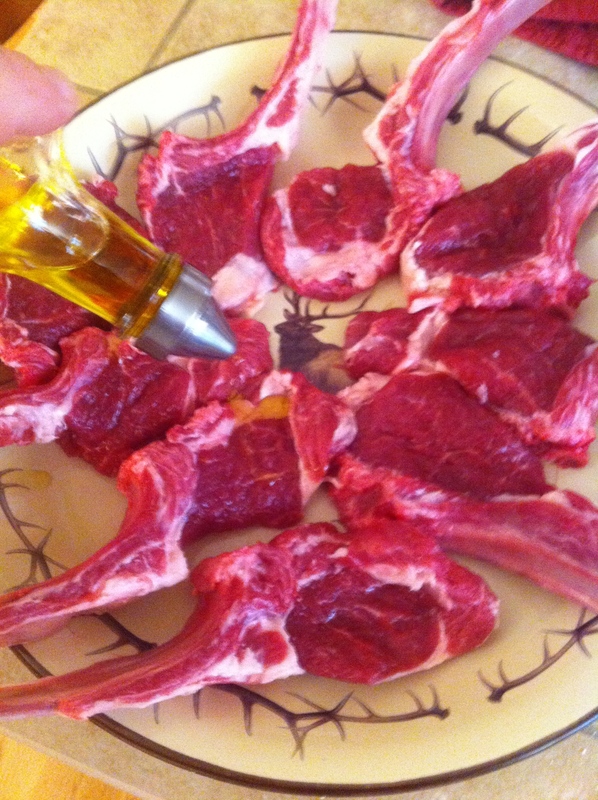 Toss them on your que and let them go with the top down for about 4-5 minutes or until nice and brown. Once you have good color flip them and add your mixture to the top and shut bbq again and let them cook for 4-5 minutes. This is what it looks like after coming out of the bbq and ready for plating. Try making them then tell me what you think. They are a good appetizer, or a meal. 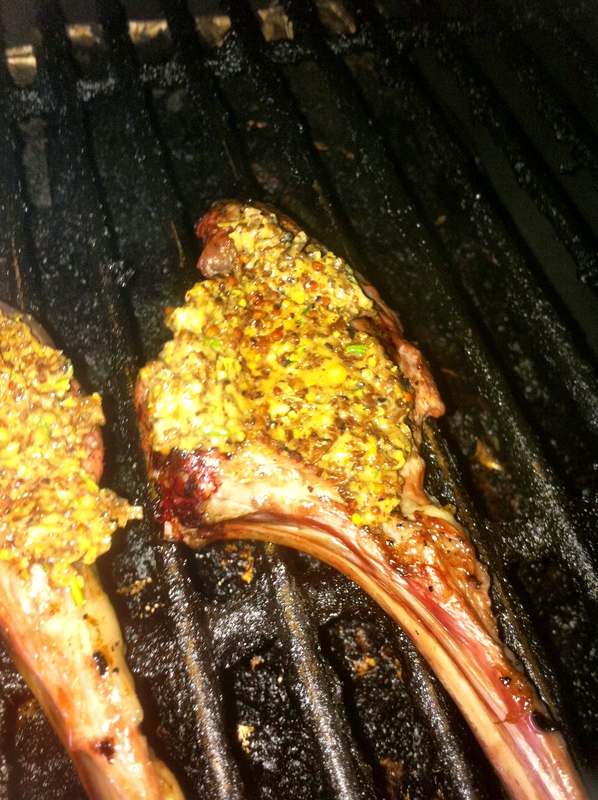 If you do not like lamb, try it anyways. I have turned a lot of previous bad opinions about lamb with this dish. And that there folks is how you do it. For all my gangster hunting chefs out there, I am throwing you a little whoop whoop. May I simply just say what a comfort to uncover an individual who actually understands what they are discussing over the internet. understand this side of your story. I can’t believe you’re not more popular given that you most certainly have the gift.